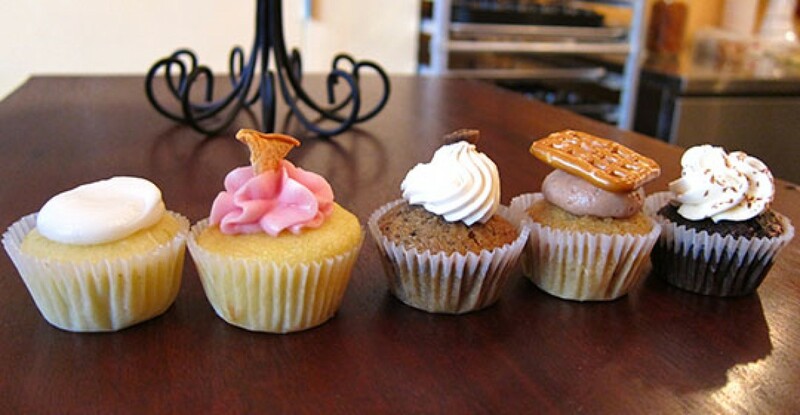 On the Lower East Side, you will find this small cupcakery baking with booze. Oh, you read that right, these sweets are all liquored up! 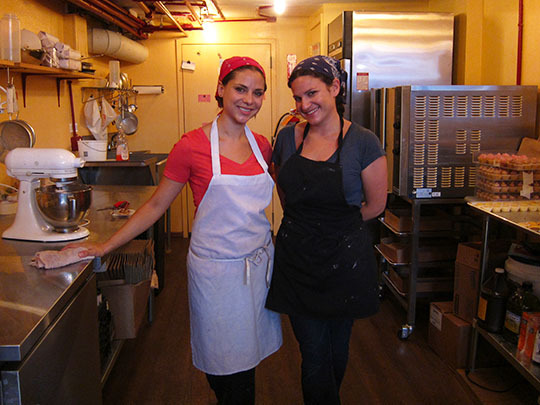 Brooke Siem, a classically trained chef who has worked at restaurants such as wd~50, and Leslie Feinberg, a bartender and self-taught baker, met last year and put their skills together to form the concept for these grown-up treats. 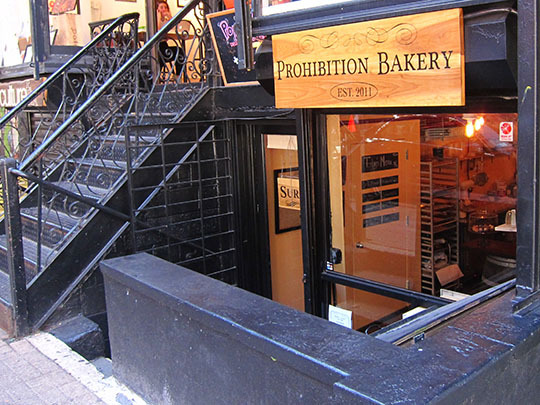 Prohibition’s cupcakes feature alcohol in the frosting and fillings, so it is not just a flavor, they really are alcoholic. Yes, they do card, so no boozy cupcakes if you are under 21! Can these minis intoxicate you? 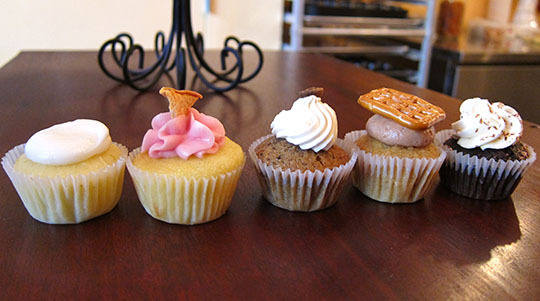 There are maybe 2 teaspoons of liquor in each cupcake. By my calculation, eating three of their cupcakes is like drinking half a mixed drink. My favorite of the day was the Sangria, filled with wine and topped with an apple chip. To me, it tasted most like the drink. Brooke commented that she thinks the Margarita is the most accurate compared to the real thing. It certainly was tasty. My boyfriend was a fan of the Pretzels & Beer, which contains pale ale, Nutella and pretzels. The White Russian, coffee-flavored cake with vodka and Kahlúa frosting, and the Car Bomb, whiskey, Bailey’s and chocolate, were also superb. 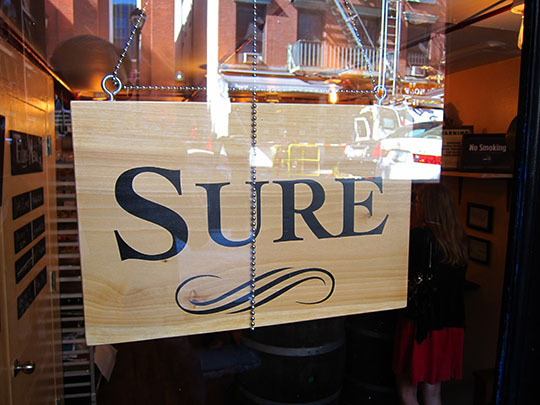 Will I be returning soon for another Happy Hour? 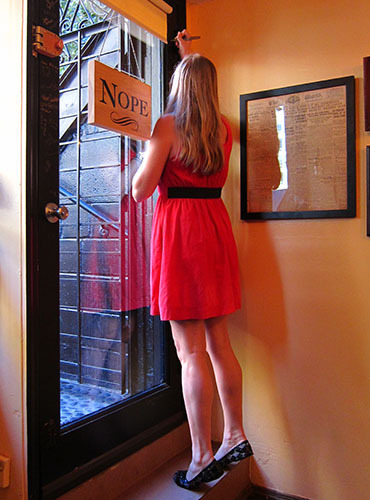 Prohibition Bakery’s Kickstarter backers have been signing the door. Want to know more about their (successful) Kickstarter campaign? That’s a story I’ll let Leslie and Brooke tell themselves. Click here for the video and more info.